Over the weekend, I was able to get away for a bit to surprise one of my dearest girlfriend who is to be married next week. With the help of two other lovely ladies, we ‘kidnapped’ her and put her on a bus to an unknown destination. About 6 hours later, we arrived at our destination – Corus Hotel Kuala Lumpur. It was my second time staying there and one of the convenience of it is that when you take the Aeroline Coach service, that would be your drop off point. So there is no need to travel anywhere else. Anyways, it was a weekend of suspense and mental torture for the bride-to-be as she had no idea what we had in store for her. 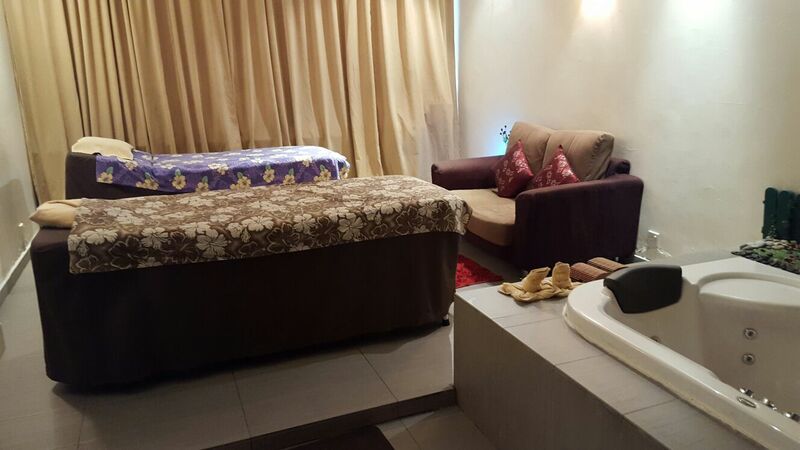 One of the surprise that we had planned for her was a treatment package at the hotel’s spa. Danai Spa is located on the 2nd floor of the hotel. We were greeted by the most welcoming receptionist named Jessy. She was excited by the idea of surprising our dear friend, she even played along with adding her own little intrigue. Upon arrival, Jessy offered us warm face towels and also some tea. She went through our requested treatments with us again and confirmed what kind of carrier and aromatherapy oils we would be using. Mine was grapeseed oil with no aromatherapy oils as it is best for pregnant ladies to stay away from any kind. They offer a variety of treatments including facials, wraps, scrubs, nail services and also waxing. The first time I was there (back in March), I was in my 1st trimester so any massage of any kind was not advisable, so I took the 30 minutes Revitalize Express Facial which includes a double cleansing, scrub, tone, conditioning mask and moisturize together with the Glamour Manicure and Pedicure service (110 minutes). Of course now that I am in my 3rd trimester, I opted for the Prenatal Massage and since it was not recommended for me to take any kind of scrubs or wraps, I also took the same facial service as I did before. The massage was amazing! It started with me lying on my left and that made the little ninja inside me squirm with excitement. Before the massage actually started, the atmosphere in the room was so calming that I could have dozed off straight away (especially after a 6 hour bus ride). The therapist was friendly and attentive (but I didn’t catch her name), she asked if the pressure was enough and it was exactly right for me. Less than 10 minutes in, I was already asleep (and according to Arina, whom I was sharing the treatment room with, I was snoring. LOL!) But I could still feel her hands working through my muscles, the knots around my shoulder blades and upper back. She was gentle while working on my lower back and little ninja was surprisingly quiet. I wish she the therapist could have worked a little longer on my legs though. She avoided touching my belly and did minimal work on my upper chest. She didn’t massage my bosoms but I’m not particular about that. I suppose I should have requested for the facial to be done first because after lying on my back for 30 minutes, it was a little achy again. But nothing that a good warm shower couldn’t ease up. After the massage, we were offered hot towels again and some ginger tea but I had chamomile tea instead. All in all, my second experience with the spa is as amazing as my first and I can’t wait to return to the spa again. I am looking forward to going there after my delivery and confinement so that I can try their other services, especially their scrubs and wraps. For more information on Danai Spa, head to their website http://www.danaispa.com/. Book early to avoid disappointments especially if you’re planning on being there on a Saturday. Bookings are opened as early as 1 month in advance. Squats and Lunges while Pregnant – Yes or No?